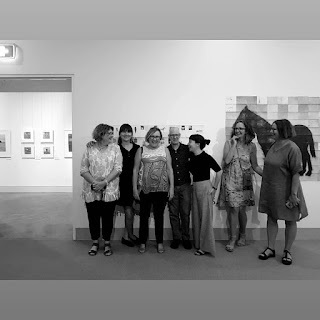 The joint exhibition of works by the Black Gully Print Group based at Armidale and myself opened on Friday night at the New England Regional Art Museum and Gallery. The Armidale arts community showed it's wonderful support with a fantabulous opening night event and an engaged audience returning for the artist's talks on the Saturday. 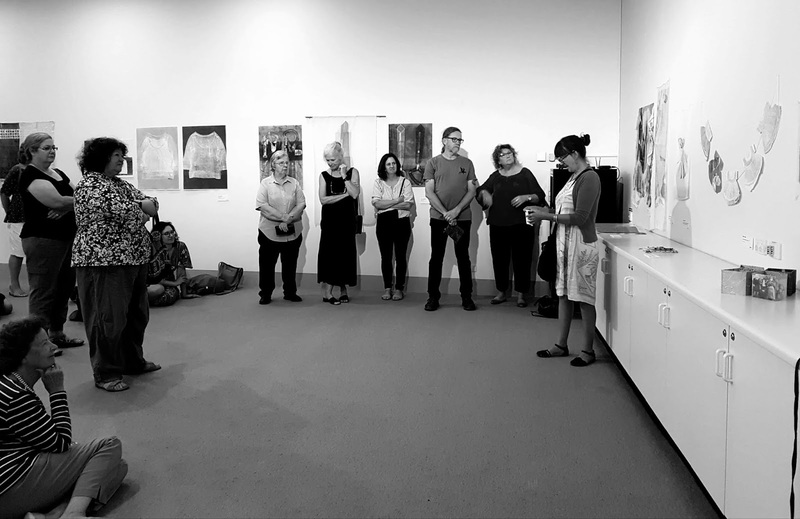 Thankyou again to each of the exhibiting artists from the Black Gully Printmakers who shared their moving stories and images...so rewarding to have been part of the very first exhibition of Material Thinking: The Poetics of Process. 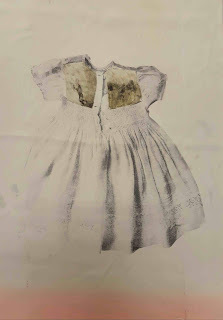 Returning from a two day workshop at the Armidale Regional Gallery working with the Black Gully Printmakers group. 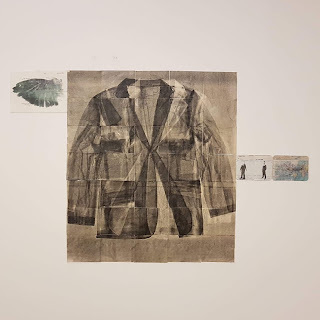 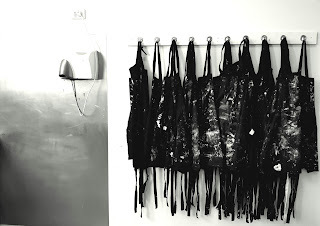 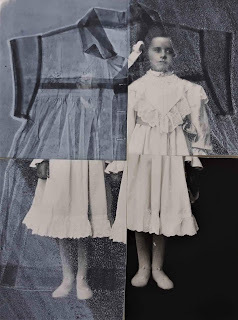 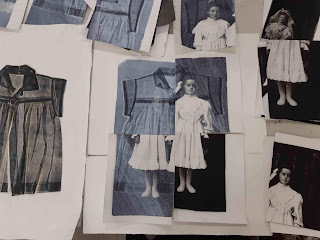 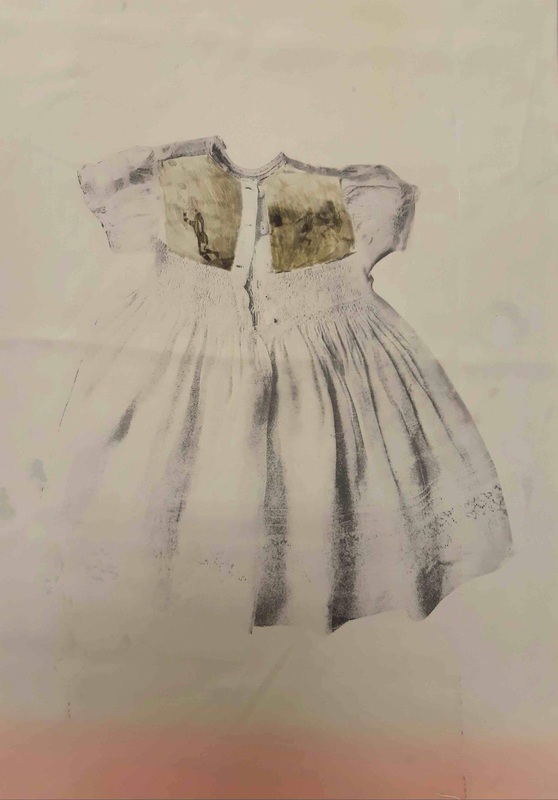 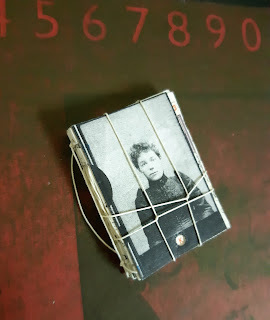 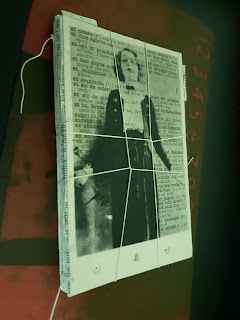 In a workshop that literally used the material surfaces of a range of garments, each participant was asked to bring a garment or fragment of material as a means of exploring notions of ritual through print and collage. 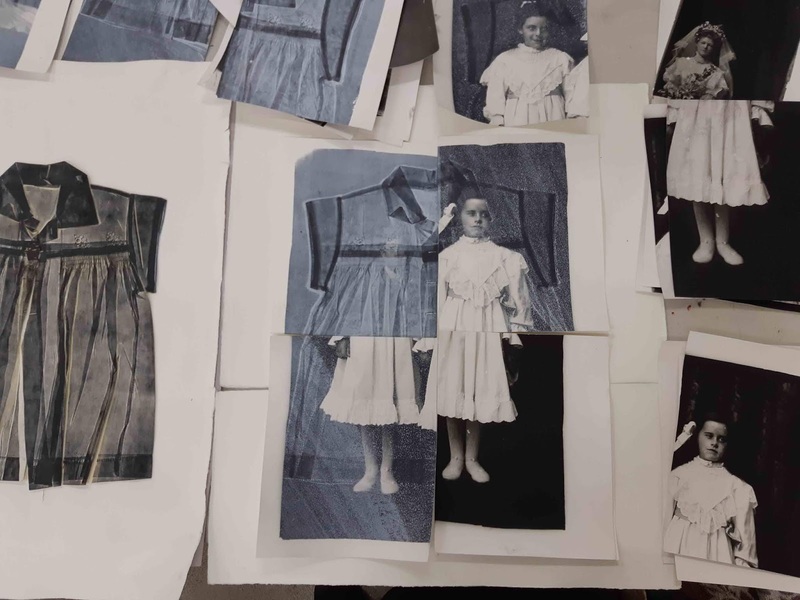 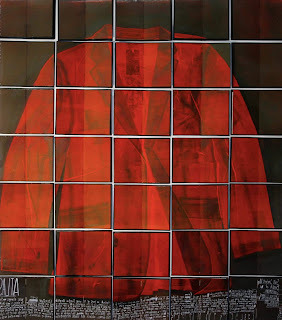 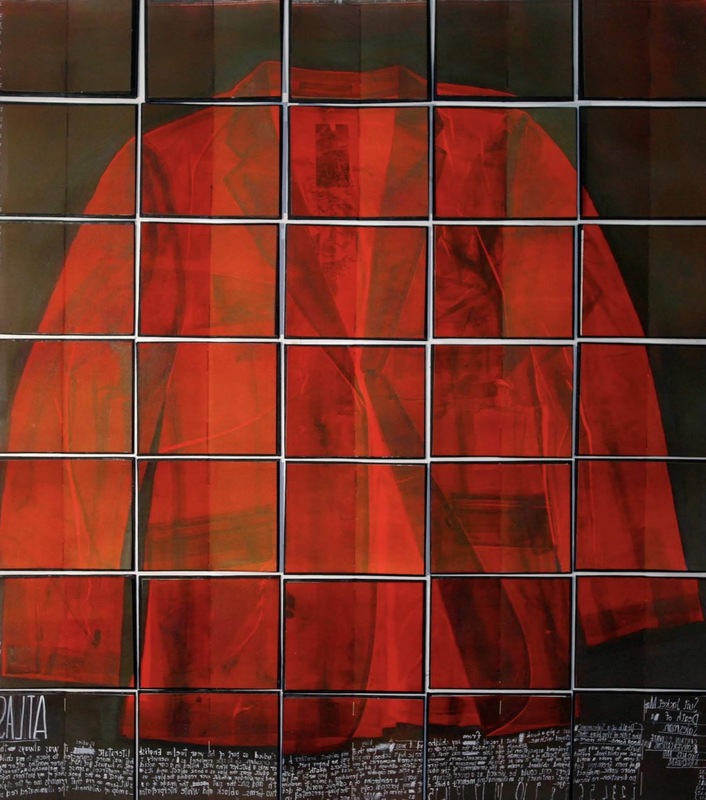 Extending upon the use of the photographic image as a form of disturbance, each participant used the most basic monotype methods to create a variety of rich and engaging works. 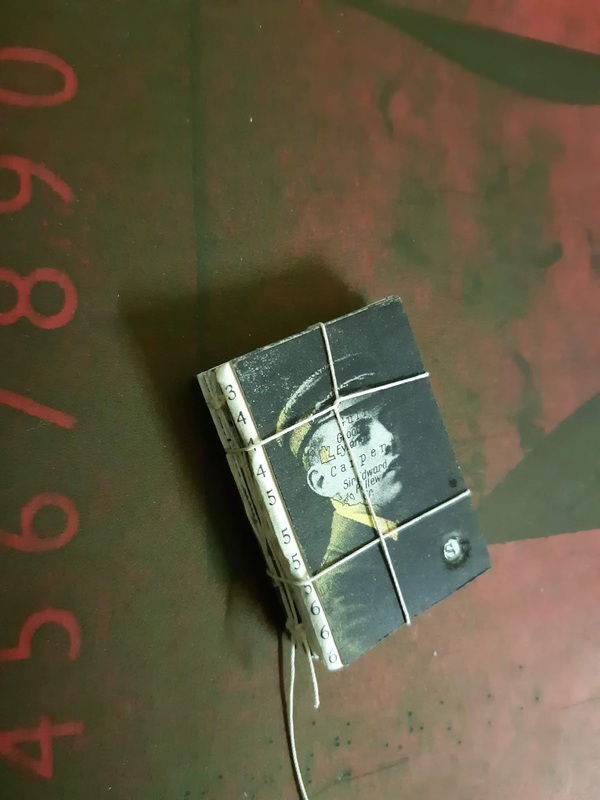 Thankyou to all who participated. The time and care taken by each participant in not only the making but also in reflecting upon the nuanced associations between material and medium, often so easily passed over within the process of making, made the experience truly satisfying. 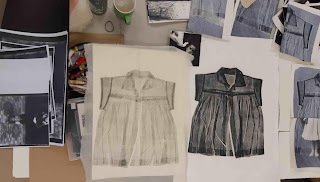 The outcomes of the workshop will be exhibited at the Armidale Regional Gallery together with my own works in February.